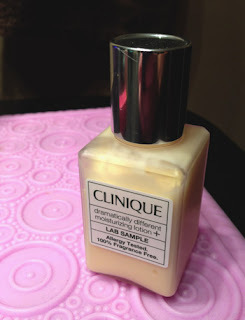 THE SKINNY: I am loving the new Clinique Dramatically Different Moisturizing Lotion+ to help fight those super dry spots on my face. As someone with combination skin, that balance between dry and oily can be tough. This is a super moisturizing lotion. To much for most days even. But it is great to have around in a pinch. The "lotion" is super thin and you can't even really feel it after application. But it is working. This is a somewhat expensive product for the way I am using it, but I will try to keep looking for samples to add in with other orders. And if you have dry facial skin, I am guessing this will be a win for you. CHECK IT OUT: Buy direct from Clinique or at makeup counters ... and look for deals. There's not reason to order without one.